When his father died, Larry, who had turned his back on his orthodox Jewish upbringing, promised his sister that he would say the obligatory Kaddish prayers several times a day for the next eleven months. Then he discovered kaddish.com, where a yeshiva student promised to stand in for Larry and say the prayers for him. Twenty years on, Larry has returned to the orthodox fold in a major way. Feeling guilty about the way he treated his father's Kaddish, Larry—now Shuli—decides he must make amends, and he embarks on a quest to track down the yeshiva student at kaddish.com who did his job for him. 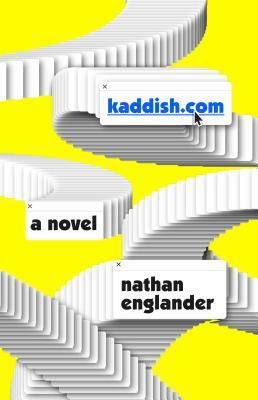 This short novel is a mostly humorous look at the conflicts between religious tradition and the modern world. I found it highly entertaining. READ because this is a hilarious and heartfelt look at family, faith, and love. PASS if you don’t care for this book’s spiritual predecessors, like Mel Brooks, Joseph Heller, or Philip Roth. Lyle, a salt-of-the-earth Midwesterner from Wisconsin, is struggling. He has really never believed in God, but his Lutheran church (led by a long-time friend) will suffice. His adopted daughter Shiloh falls in the clutches of a charismatic preacher with a community church, taking her much beloved child Isaac with her—and away from Lyle. Oh, how your heart will ache while Lyle struggles with the impending death of an old friend, continued sadness over the long-ago death of his infant son, and the struggle to save his grandson. Ordinary people, ordinary problems. Loved every page. PASS if you, unlike Lyle, are a low-sodium extraterrestrial facing down extraordinary problems. In less than 200 pages, Dave Eggers' latest novel presents a tense and gripping parable about development politics and outside intervention in countries in conflict. 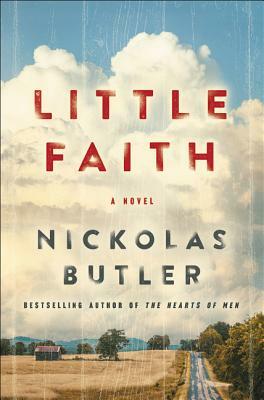 Two contractors are sent to pave a road between two parts of an unnamed war-torn country. "Four" is a task-oriented martinet whose attention is focused on getting the job done on time and getting home, and "Nine," who knows the language, is much more interested in interacting with the local citizens along the route. When Nine's behavior causes problems, Four has to step outside his comfort zone, at least temporarily, and both men discover that good intentions by outsiders don't necessarily lead to good results in a different culture. Recommended. 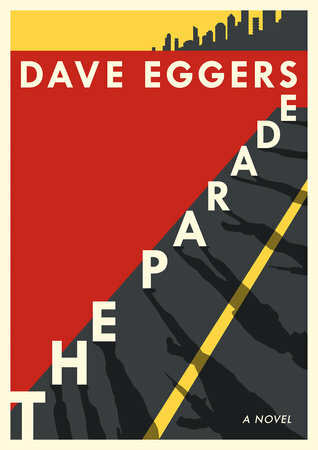 READ because: New Dave Eggers. PASS if you’ve been putting off A Heartbreaking Work of Staggering Genius for the last 19 years. 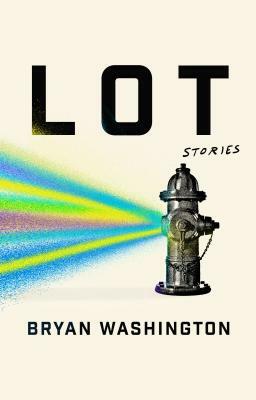 The setting of this collection is Houston, so there's something familiar about these short stories from the start. We have driven through these neighborhoods, walked some of these streets, and seen some of the people Washington writes about. The narrators of these stories delve deeply into the lives of inner-city Houstonians and touch the heart of the connections that create family and community. Most of the stories are narrated by the younger son of an African-American mother and a Latino father who own a restaurant in an East End lot. After his father leaves, his brother joins the military and his sister leaves to start her own family, so the narrator and his mother work the restaurant. As a teenager, the narrator realizes he is gay, and several of the stories have to do with the gay community. The writing style is straightforward and casual with a clarity that shines, and there is plenty of poignancy without cloying melodrama. The stories will pull you in. Recommended. READ because these are genuinely great stories. And Houston needs more literary stardom. PASS if you’re a heartless monster who hates your hometown. 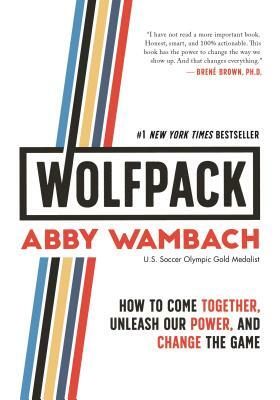 Last spring, Abby Wambach delivered the commencement speech to Barnard College. In it, she encouraged the young women in the audience to unleash and embrace their power and use that power to support other women as a means to effect change. That speech went viral and Abby has fleshed out the material into an inspirational book that will be the perfect graduation gift this spring! The prose is straightforward and the message is powerful. READ this slim-but-powerful volume and just try not to feel inspired. PASS it along to all the grads on your list this year. Attend our event with Abby (in conversation with Jen Hatmaker!) on April 13. The author's first exposure to Gourmet magazine was as an eight-year-old girl, visiting a used bookstore with her father. Immediately drawn to the exotic dishes and ingredients, she became interested in cooking, a subject she pursued as an adult. Decades later, when she was the New York Times restaurant critic, she was offered the job of editor in chief at Gourmet. 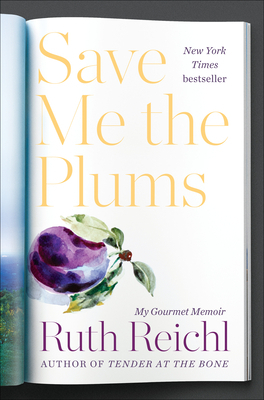 Save Me The Plums is Riechl's account of the ten years she held that job until the magazine's owner, Conde Nast, shut down its publication in 2009. As a food critic, she had little experience in editing and managing, but her willingness to take risks and to listen to other people's ideas changed Gourmet from the stuffy and snobby magazine for those who had cooks to prepare meals for them to a much more accessible, sometimes edgy, but still glamorous vehicle to reflect the revolution that was taking place on the American food scene. This is a quick read with lots of anecdotes about the people with whom the author worked and met through her work. She includes examples of the process used in the magazine's test kitchen to develop recipes and even includes a few of those recipes in this memoir. Some of the best bits are descriptions of the meals she ate at restaurants and parties during this period. But she also describes her difficulties in managing both her professional life and her family relationships. She's a great storyteller, and this latest book is a good complement to her earlier memoirs. READ this one on a full stomach. Or else, be prepared to take lots of snack breaks. PASS if a generations-old curse renders you unable to enjoy the taste of food. Meet the author when she visits the shop on April 5. 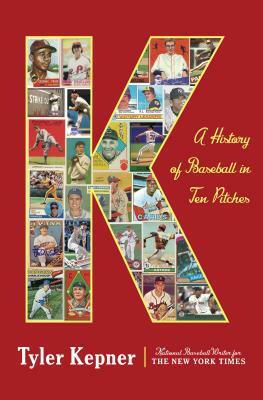 New York Times national baseball writer Tyler Kepner interviewed hundreds of current and former major league pitchers, hitters, and coaches for this volume, a thorough and entertaining look at the ten pitches that have defined baseball through the ages. Each chapter focuses on a particular pitch—in order: slider, fastball, curveball, knuckleball, splitter, screwball, sinker, changeup, spitball, cutter—and traces its lineage from the earliest practitioners to today’s stars. The entire book is stuffed with quotes, so it reads almost like an oral history. It’s engaging, insightful, and absolutely deserves a spot on the shelf next to titles like Moneyball, Ball Four, or I Was Right On Time. A perfect book to celebrate a new season of America’s greatest game. READ this one to get in the mood for the 2019 season (Go, ‘Stros!). PASS the peanuts. It’s going to be a great year.